So, do you now admit that you were wrong about NASA painting that rock? The probabilities are high, that I was incorrect. That one little square area though. I'm going to accept it was caused by excessive white balance, for now. LOL Now wheres my cookies!!! How about you??? Are you going to accept the crab looking thing is biological???? No comment, will not be accepted! There is not enough to go on for me to "accept" this thing is biological. I will keep an open mind but the original unaltered image is not so crab like. Everyone demands I post original links. Where is the original photo. Show it please. Yea, let me guess, silence..
Well, it is nice to see the original and a source. Rather than an altered one. What's your problem with that? Mastcam has two cameras, left and right. Both cameras photographed the object. The left camera appears not to have taken a optically zoomed photo, the right camera did. There are 6 photos in all, 4 from the left mastcam camera, and two from the right camera. 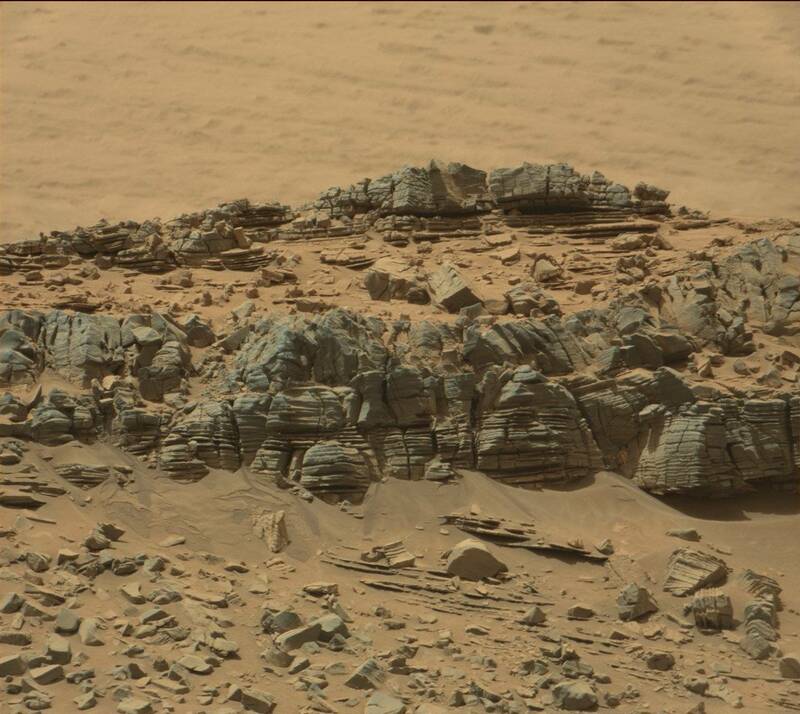 The right Mastcam camera took optically zoomed photos. These are the original right Mastcam camera photos. Sure, although you already did it in part. This browse image is not the actual data product. Exactly, the data product is the IMG file. You can also download it from that page, if you have a program capable of showing IMG files, like NASAview.